Okay. I thought I would try to do this first thing in the morning instead of late afternoon when I am falling asleep in my soothing herbal tea ( I hate afternoons – it has been scientifically proven that people become more pessimistic in the afternoon). So. In order to curb some desultory writing I will write this post with the benefit of freshly administered caffeine and the bright optimism of a day just begun. Today, my little padawan learners, we will see how we can navigate oh so smoothly on the ipad in different languages. 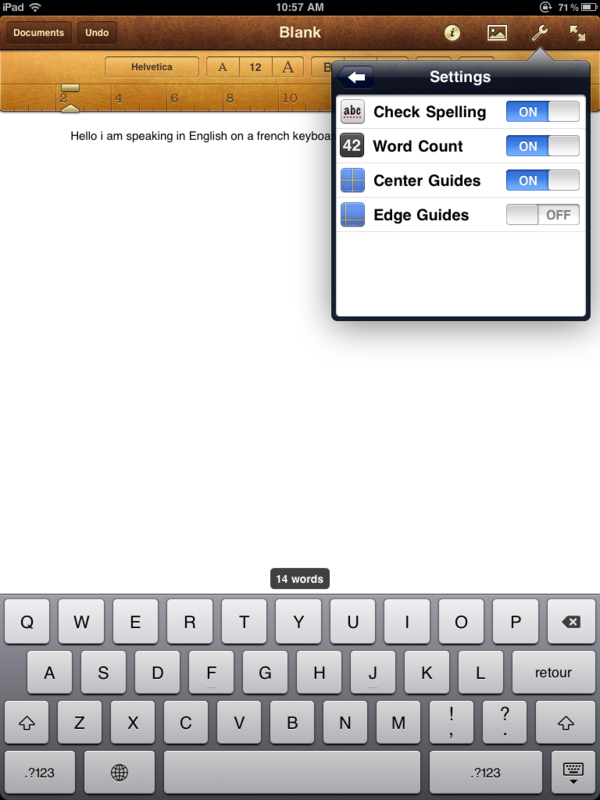 We will go from changing the whole language of the ipad to switching keyboards in Pages. And for you advance jedi trainees in the ipad arts, we will also show the ease with which you can find the accents for all those pesky French words. And for all of you who rely on the correct spelling tool to produce an error-free text, you will learn how to turn it on in Pages. It is as easy as constructing a light saber with the force. (See picture). 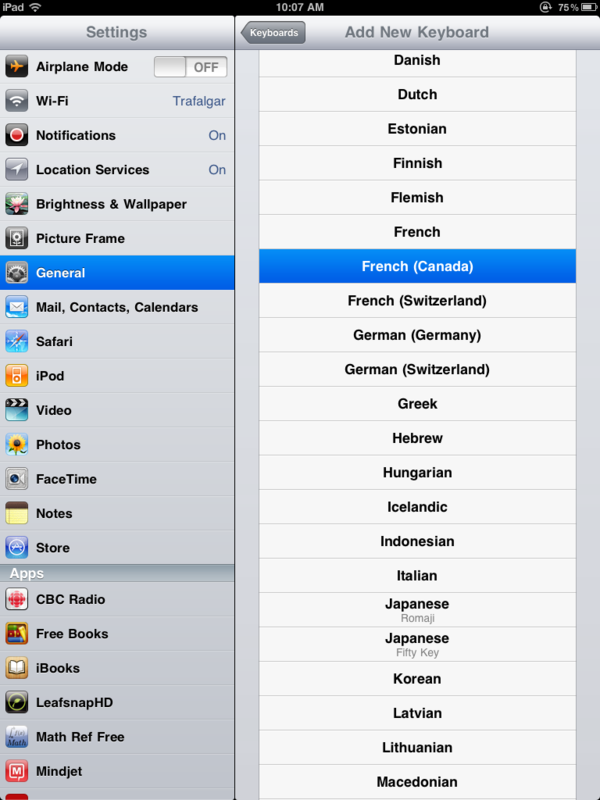 Settings–> General–> International–> Language–> choose your language of choice. 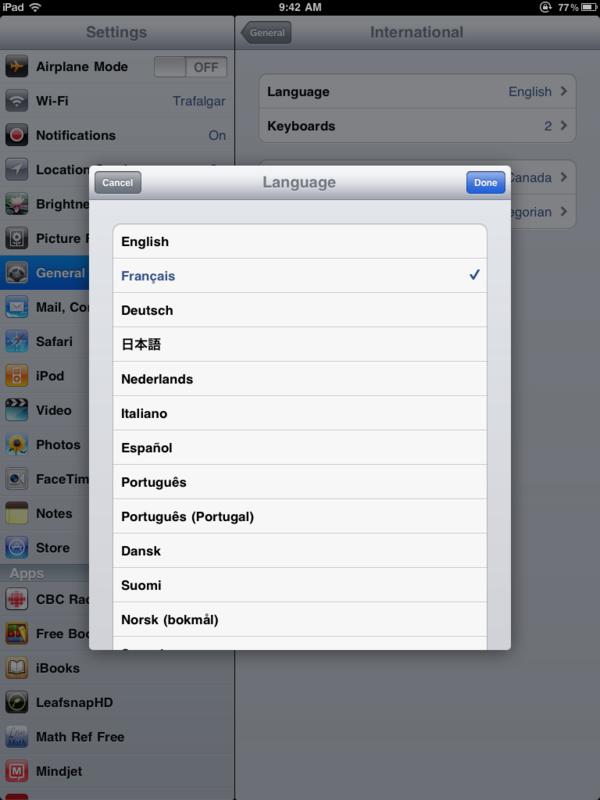 It will automatically change the language of your ipad. 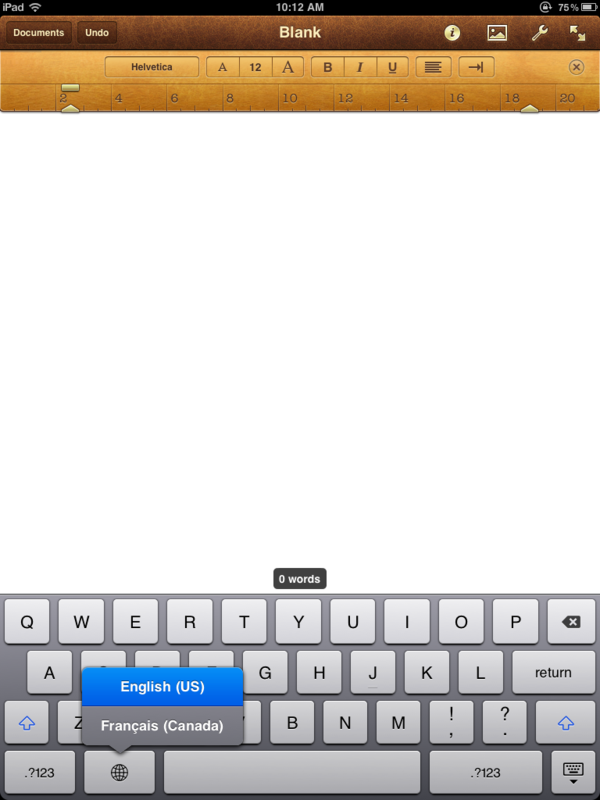 Here is the screen you get-tap your language of choice and then tap done. See? Settings is now réglages! I know, I know. That was so easy! The force is with us today my fellow jedis! Now. Pages. 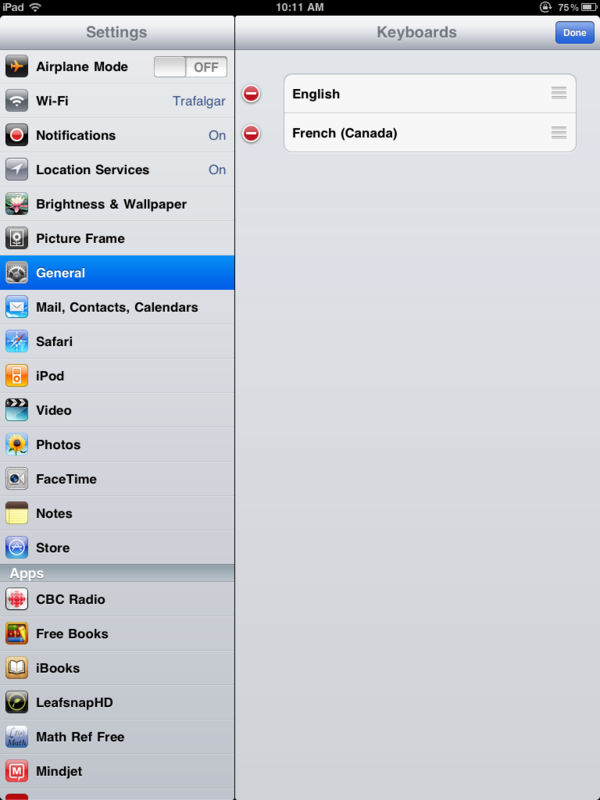 As Montrealers, we tend to switch seamlessly between French and English and would love our devices to do the same. How fortunate we are that it is as easy as tapping a button in Pages! But first we must go to our homebase, the Tattouine of the ipad (without the two moons of course), Settings–>keyboard–>international keyboards. If you only have English as an option, tap the Add a New Keyboard option. Choose the language you want to add (I assume it will be French but you might want to try out your chinese). To delete a keyboard, tap the edit button and the little red dot with the minus sign shows up. Now we must board our Millenium Falcon and travel at warp speed to the planet Pages where our two keyboards will be waiting for us. 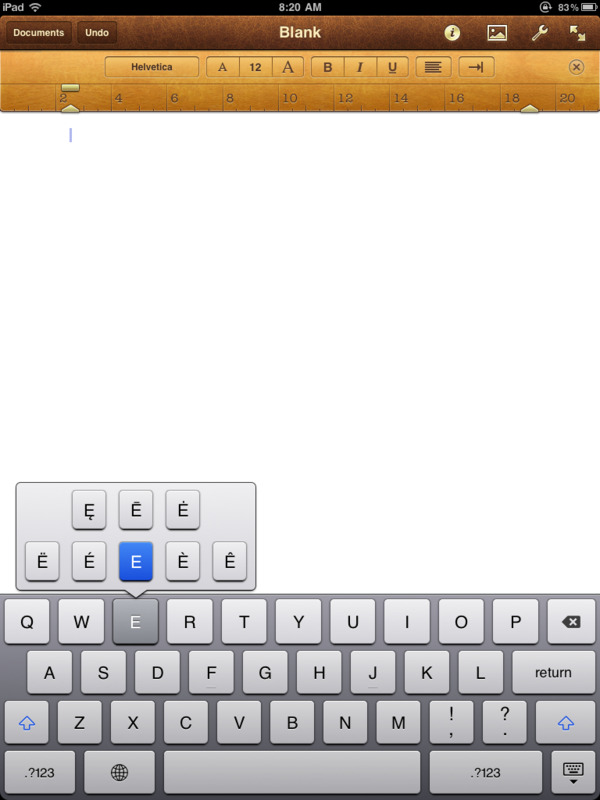 Tap it until the language you want appears on the space bar. The start typing! 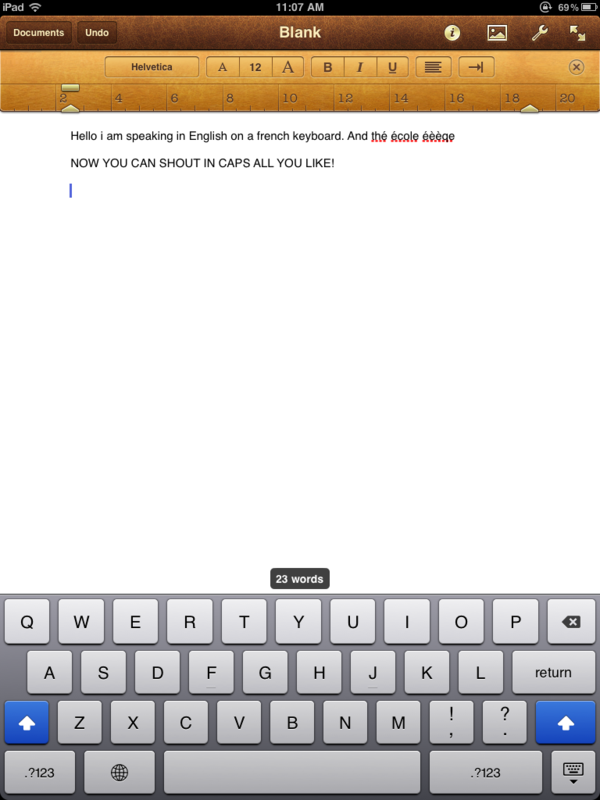 But honestly- there isn’t much difference between the French and the English keyboard. Although I did try Finnish and the umlaut did appear…And I am not sure if the spelling correction tool works with anything but English. Hang on while I try…Nope. 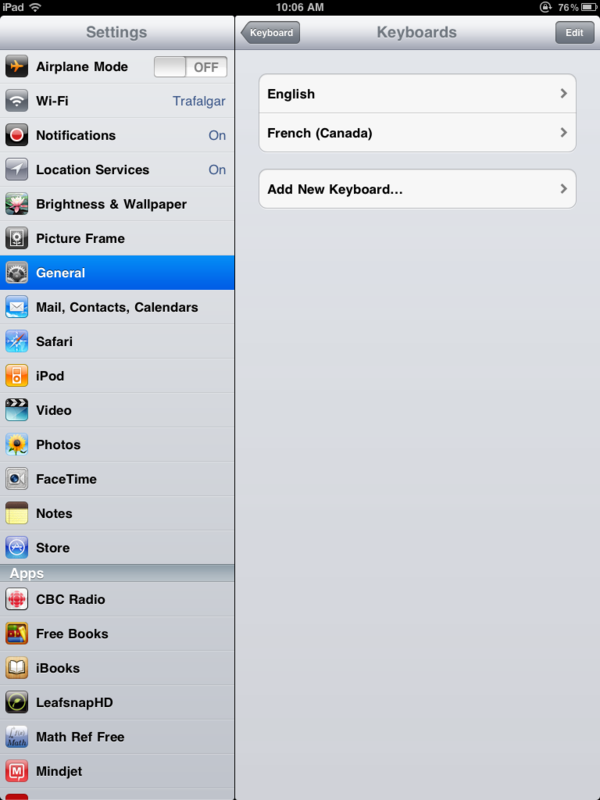 No French spelling corrections even with the French Keyboard. Only English. WAIT! IT DOES WORK A LITTLE! I just spelled “the” with the French keyboard and it auto-corrected it to thé! Auto-correct: annoying in all languages. Maintenant, sans lever votre doigt de l’écran, glisser votre doigt sure la lettre avec l’accent que vous avez besoin. Now, I wonder if they have a jawa keyboard? 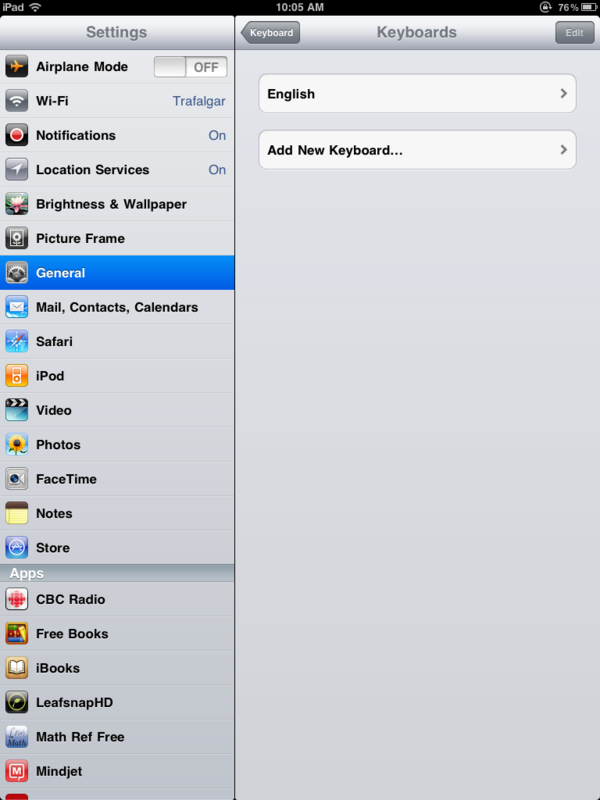 I have already mentioned in a previous post how to turn the auto-correct off for the ipad. 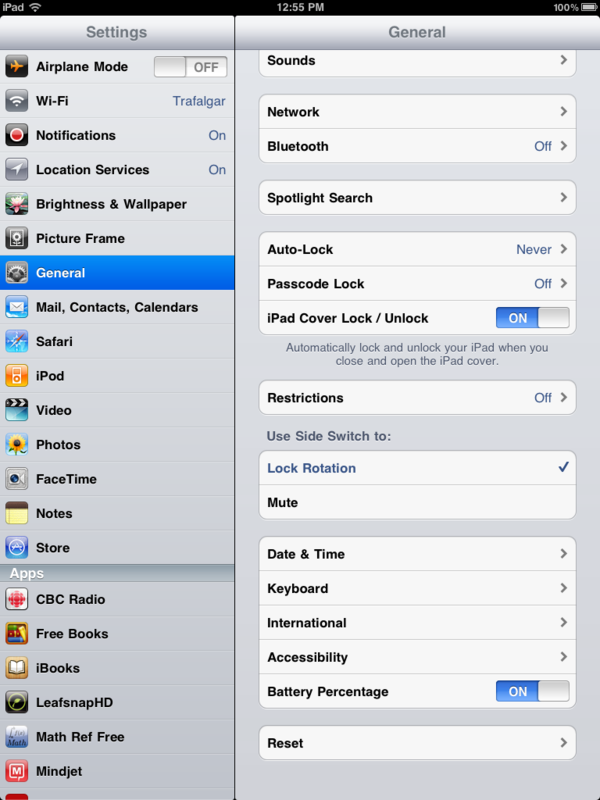 (A note about that- the check spelling for the whole ipad is automatically disabled of you disable auto-correct. You can only check spelling when the auto-correct is on). Make sure the Check spelling option is on. Now for our final adventure on the planet Pages (for today! )- CAPS! TO WRITE IN ALL CAPS SO IT LOOKS LIKE YOU ARE SHOUTING ALL THE TIME DOUBLE CLICK THE ARROW ON YOUR KEYBOARD UNTIL IT TURNS BLUE. Thus concludes Part 3 of our epic ipad challenge. Like Lucas, I might decided to write a an atrocious prequel trilogy though, so stay tuned. Oh and in parting, we cannot let this day go by without a fitting adieu to Mr. Jobs, the man who made this blog necessary. Despite beginning my computing journey with a Commodore 64 back in 1984, all my subsequent computers have been Macs. 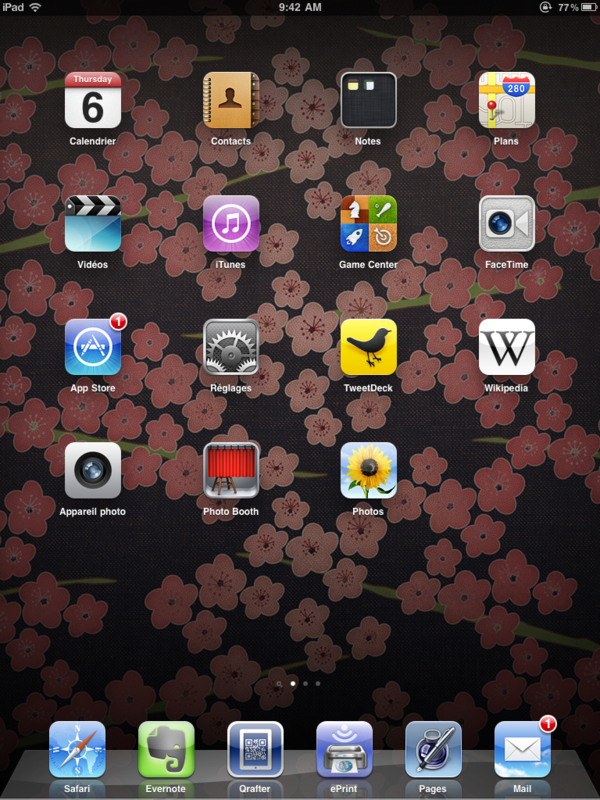 I have grown up with the little icon and can’t imagine using anything else. As I have A LOT of notes from yesterday’s workshops and must organize, research, hyperlink, screenshot them and I just don’t have the time in the ten minutes of my remaining workday, I thought I would write a brief post about how to get rid of the autocorrect function on the ipad. I don’t know about you, but it is about as annoying as fingers on a chalkboard. It is so easy, and totally explainable in a few seconds. 2. Make sure you are in General. 4. 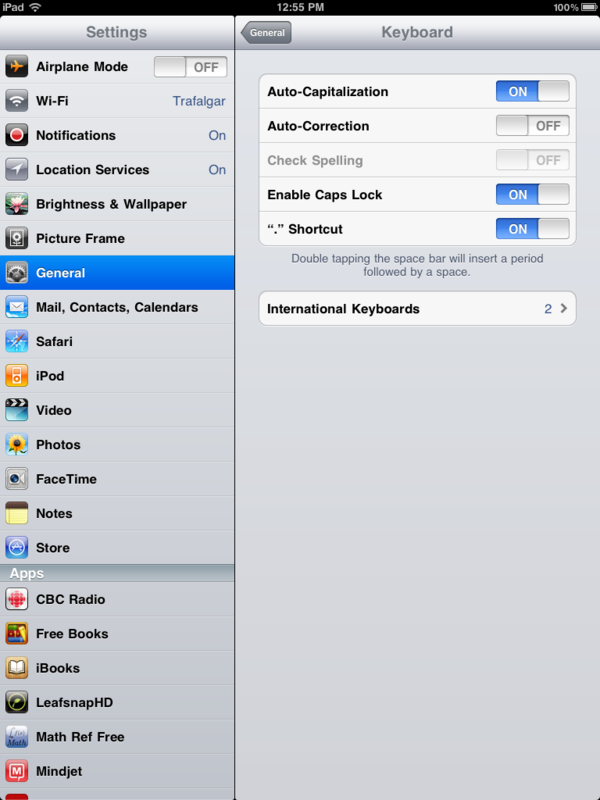 Switch the auto-correction to off. It was like having your notes ciphered and not having the key. Have a great weekend- and trust me. There will be WAY MORE about the workshop in the posts to come.